Check Out the Newly Remodeled Sauna! 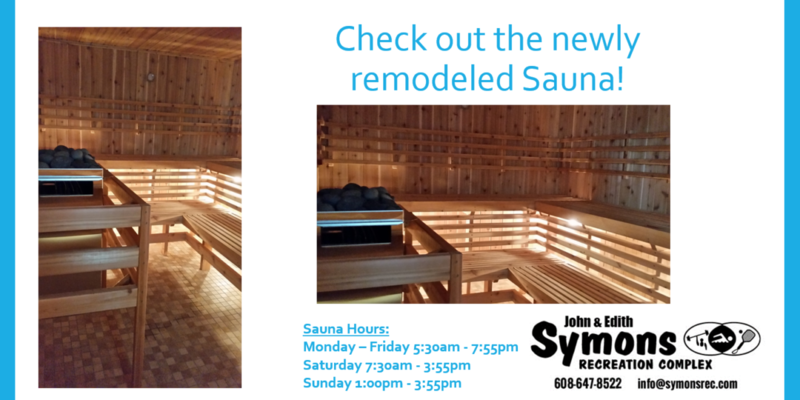 News / Check Out the Newly Remodeled Sauna! Receive health benefits by using the remodeled Sauna- The sauna is open to the public, during staffed building hours. Adults may use the sauna for a maximum of 20 minutes at a time.